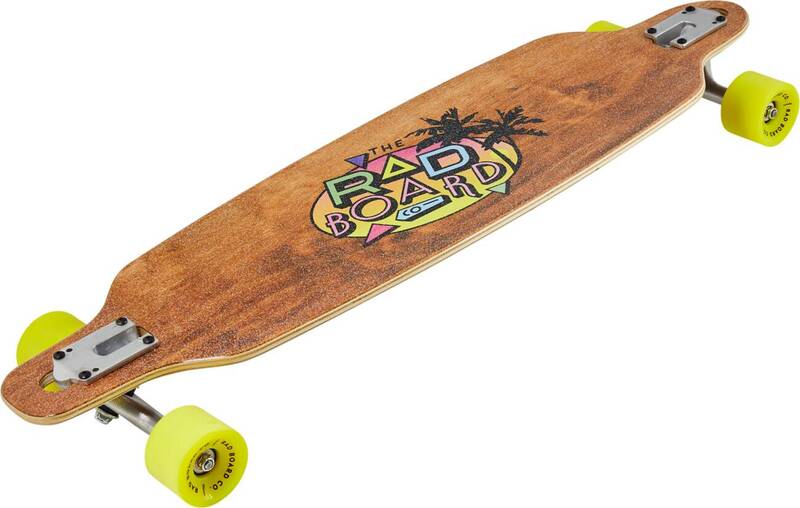 This longboard comes with a 'drop-through' mounting, meaning that the trucks are going through the deck, resulting in a smaller distance between you and the ground. Easy for beginners to take their first ride on. Meant for cruising, not trick skating. Wide and durable deck made with 9 plies of Maple. Soft riding experience due to its bigger and softer wheels. Stay low and stable while learning the basics.